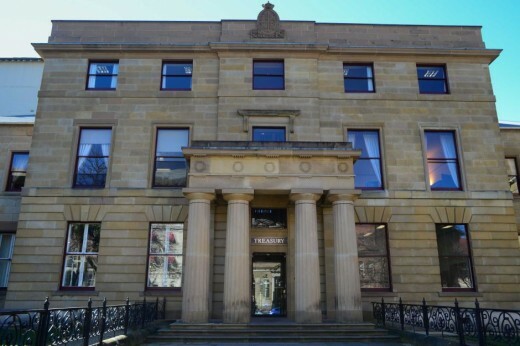 Photo: Hobart’s old Treasury building in Murray St.
TTN, 9th October 2015: Hobart’s prized former Treasury building (pictured) appears to be the first development to come to fruition in Tasmania after a much-supported ‘unsolicited proposal’ framework was implemented in the state. There’s just one catch for the public – if the project is an unsolicited proposal, the framework says planning can remain secret. IF the Liberals are thinking about selling Hobart’s historic Treasury building, they should do it though an open process, Labor says. The landmark Treasury complex in the city’s centre has been eyed off for years as a prime spot for a development such as a luxury hotel. In State Parliament last week, Premier Will Hodgman rejected Labor’s assertion that Cabinet had approved a “secret plan” to sell the building. But the State Government hasn’t ruled out discussions with would-be buyers and under the Liberals’ unsolicited bids framework, such talks can be carried out in secret. HAS Treasury or the Department of State Growth provided any advice to Government on the sale or lease of the Treasury buildings? HAS the Coordinator General had any discussions regarding the future of the buildings? HAS Cabinet given any consideration to selling or leasing the buildings? Shadow Treasurer Scott Bacon said the State Government was obliged to be open about any plans or discussions around selling the buildings. “The Treasury building is a historically significant heritage structure owned by the people of Tasmania,” Mr Bacon said. “The Government has an obligation to consult with the public before it starts doing private deals with developers. However, any developer interested in a public building or site can initiate a discussion with the Government. Last November, the State Government announced a framework to allow developers to pitch projects directly without going through a tender process. BIG, bold projects will soon be pitched directly to the State Government without a tender process under a policy announced by the Liberals. Projects with a minimum private investment of $10 million that directly generate at least 100 local jobs will be eligible for consideration within the unsolicited proposal framework. The announcement has been welcomed by the tourism industry and the proponent of a $2.4 billion hospital on the Queens Domain. But the Tasmanian Greens say the policy will open the door to a corruptible process. 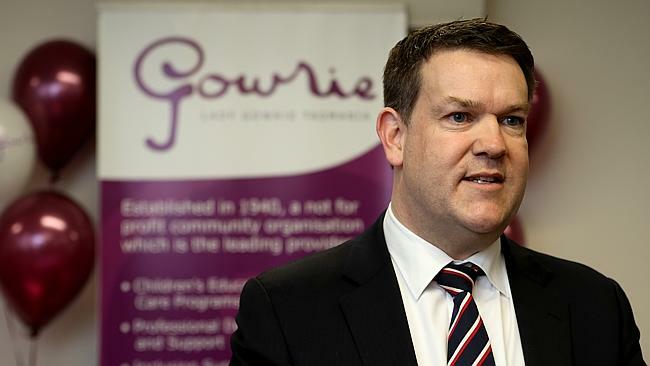 Growth Minister Matthew Groom said similar guidelines existed in other states, but Tasmania lacked a way for developers interested in public buildings and sites to engage with the Government without jeopardising their intellectual property. “Current procurement policies mean that [the] Government … disposes of surplus land or buildings through an open sale or competitive tender process,’’ said Mr Groom. “If a proponent approaches the Government with a unique use for Government-owned property, the Government can’t deal directly with that proponent, even if the proposal has clear value and benefit to the state,” Mr Groom said. The guidelines, to begin on January 1, will apply to new “unique or innovative” proposals initiated by the private sector. BE unique or innovative and not able to be delivered via normal procurement processes. ALIGN with the Government’s policies and strategic objectives. REPRESENT value for money and benefit the Government and broader community. DEMONSTRATE a need and appetite for the project and be in the public interest. BE financially, economically, socially and technically feasible. But Greens leader Kim Booth was suspicious of the policy announcement. “The Greens are concerned about the timing of this announcement given the expressions of interest process for development in our special national parks closes at the end of this week,” he said. Mr Groom said the aftermath of Tasmania’s successful Chinese presidential visit and TasInvest summit was a good time to push ahead with policies to attract investment. “This is about seizing the moment for Tasmania,” he said. Proposals will be lodged with the newly established Office of the Coordinator-General. Mr Groom said projects would be rigorously assessed and subject to planning processes. Tasmanian engineer Dean Coleman, who leads the consortium proposing the new hospital precinct near the Hobart Cenotaph, said the policy was fantastic for Tasmania. “From day one, we have been talking to the Government about an unsolicited bid policy. It will generate an enormous amount of investment in Tasmania,” he said. Tourism Industry Council Tasmania chief executive Luke Martin said the policy was much needed. “From a tourism perspective, we’ve seen this type of policy bring forward in other states major investments in hospitality and tourism activity,” he said.